This is a very well done movie with solid acting and is one of the more interesting period pieces which I have reviewed. Burgess Jenkins is outstanding as John Wesley, the man who struggles with the conflict of pleasing God by good works or by faith alone. This film is wholesome for the most part but it does portray Wesley's temptation as he deals with the passion he feels for a woman who desires to marry him. It should be noted that the long-time outstanding actress, June Lockhart, of "Lassie" and "Lost in Space" fame, plays Wesley's mother in the movie and her addition is a pleasant one. The film features some fine scenes including one in which Wesley shows up in bare feet to teach a class, because a boy in class has been teased for having no shoes. Wesley faces incredible persecution from the church in England and the poor visitors he invites to church are not welcome. Soon Wesley is going to the people outside the church and his "methods" begin to be questioned. These incidents eventually lead to his Methodist church. We learn by film's end that Wesley went on to start chapels, schools, orphanages and shelters throughout England, Scotland, Ireland and Wales. This DVD is well worth seeing but we do recommend it for ages twelve plus due to a few of the mature themes. This movie may just stir you to deepen your spiritual roots. How many films do that? We are pleased to award our Dove Seal to this movie. CircuitRider Reviews - Reviewed by Matthew L. Kelley, pastor of Bethlehem United Methodist Church in Clarksville, Tenn.
John Jackman’s new “Wesley” biopic depicts the life of Methodism’s founder from his early days at Oxford through his unsuccessful mission to the Georgia colony, and the growth of the Methodist movement back in England. 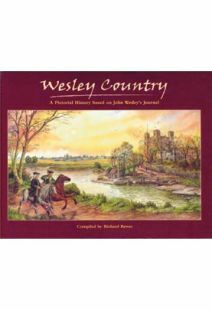 These three eras in Wesley’s life show the three “rises of Methodism,” as Wesley later termed them in his journals, which makes sense because the writers and producers of the film consulted John and Charles Wesley’s journals very closely throughout the production. 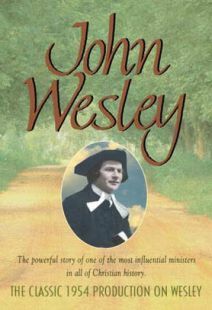 Previous attempts to put Wesley’s life on film have often strayed into hagiography, depicting Wesley as an otherworldly saint who never made mistakes and was free of emotion or struggle. Not so with this film. 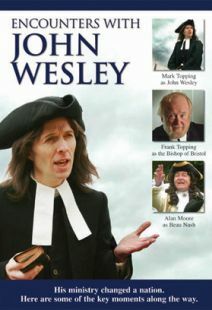 John Wesley (Burgess Jenkins), while remaining a very proper British cleric, is passionate about his faith and struggles mightily with how to live it out. This passion often leads him to doubt himself, make mistakes, and find himself in conflict with others, but it also leads him to make some bold and unorthodox choices to include those who were left out by the church establishment. In other words, “Wesley” gives fantastic insight into the man who would shape the face of Protestant Christianity for centuries to come. The film begins with a flashback to Wesley’s childhood and the Epworth rectory fire, an experience that convinced John that God had something special planned for his life. We also see Susanna Wesley (June Lockhart, of “Lassie” fame) instructing her children in the faith and forming strict habits that would last throughout their lives. A significant amount of time is devoted to John’s experience and struggles in the Georgia colony. His romance with Sophy Hopkey (Carrie Anne Hunt) is a bit overplayed, but it does serve to highlight the growing conflict within John Wesley over his sense of calling. His properly-emphasized interactions with the Moravians illustrate his growing sense that something is lacking in his faith. Also in Georgia, Wesley learns about plants that can be used as natural remedies, something that he will use back in England when the Methodists commit themselves to providing medical care for those who cannot afford to see a doctor. He also grows in his appreciation for the virtues of the Native Americans, who he observes living very Christian lives even though they know very little Christian doctrine. When John Wesley returns to England, he feels like a failure, even though Peter Boehler (Bill Oberst, Jr.) and others try to cheer him up and assure him that God truly is with him. In portraying Wesley’s Aldersgate experience, the filmmakers are careful to show that Wesley received an assurance of salvation, and not portraying it as a conversion experience. Anyone familiar with Wesleyan history and theology will be extremely grateful for this. Wesleyan theologians may be disappointed by the scene where John systematically lays out the “Quadrilateral” of scripture, tradition, reason, and experience. Wesley himself never formalized his methodology that way; this framework was theorized in the twentieth century by Albert Outler. If one can put the historical fiction aside for a moment, however, they can appreciate how the scene demonstrates how Wesley was an innovator and a fantastic model for practical theological dialogue in our day. One of the film’s strengths is also a weakness. It is so committed to giving an honest portrayal of the life of John Wesley that it struggles at times to fit the standard narrative structure that most movie-going audiences are used to. The emotional climax of the film is at Aldersgate, and yet that is just past the halfway point of the film. The rest feels like an extended resolution, though nonetheless a great introduction to early Methodism in England. 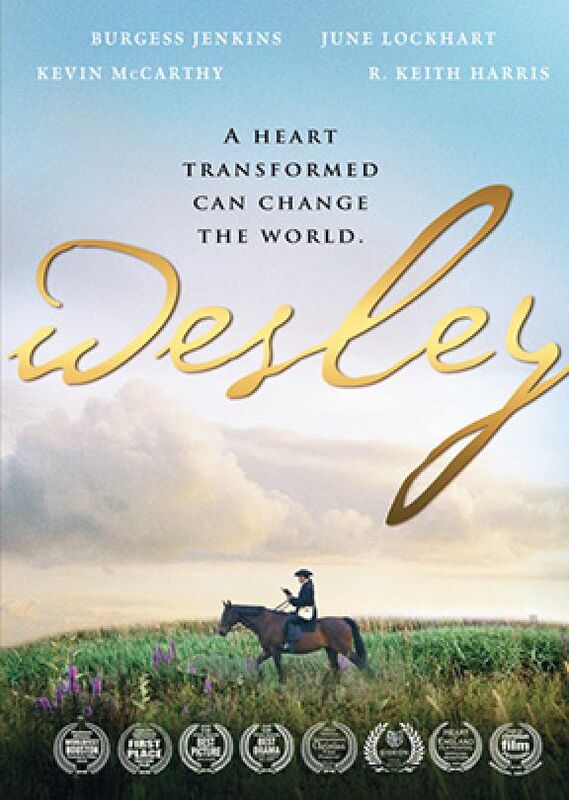 While “Wesley” may not achieve the box office success of a summer blockbuster, it is a great film for church groups. There are a number of well done scenes that serve as launching points for discussion about things that make Methodism unique, both in theology and practice. It would be especially useful in a confirmation or new member class setting. Learn more about this film at www.wesleythemovie.com. The story of a man haunted by his search for peace and longing for a confident faith in Christ is lovingly told in this film. Through thoughtful dialog and beautiful cinematography, Wesley's journey from 18th century England to America to preach to the settlers and Native Americans quickly becomes one riddled with self doubt. Scandal and rejection drive him from Georgia. Colony back to England. No longer the cocky preacher who seems more self-righteous than inspirational, Wesley eventually finds faith through humility and an overwhelming desire for peace- a "saving faith." At last there is a film to replace the 1954 British film John Wesley, a very good thing because that film has not held up well. Interestingly, the new film about the founder of Methodism, simply named Wesley, was shot entirely in the USA, not in Britain, nor in Hollywood, but in Old Salem and Winston-Salem, North Carolina. The English revivalist seems less of a stained glass saint in this version, thank goodness. Both biopics include the dramatic rescue from the rectory fire at Epworth as well as the life-changing episode at Aldersgate Street. But what a difference between the films in the treatment of the latter episode! It is one of the silliest of scenes in the older film: as he feels the inner warmth, Wesley stands up, interrupting the proceedings and delivering the sermon, and then launching into a Watts hymn, the congregation quickly joining in. None of that nonsense in the new version, much of which is based on Wesley's famous journals. When we see John Wesley (Burgress Jenkins) at Oxford, he is a meticulous believer rather mug in his faith and proud in his strict practice of devotions and good works. He dominated his brother Charles (Kevin McCarthy), even to the point of wanting him to accompany him to Georgia. This smugness dissipates during the trip across the seas when a terrible storm threatens to sink their ship. Only the group of Moravian passengers is free of fear, singing their lively hymns to keep up their spirits. The overly long section of Wesley's unsuccessful ministry in Georgia focuses a little too much on his relationship with Sophy Hopkey (Carrie Anne Hunt), but it certainly reveals that he was not always successful in coping with difficulties. When he returns to England he is a man wracked with self-doubt. Again it is a Moravian, Peter Boehler (Bill Oberst, Jr.) who counsels him, assuring him that he will discover that Christianity is more than knowing doctrine, that is is an inner matter of the heart. Finally we get to the Aldersgate experience in which his heart is "strangley warmed," it thankfully, the experience is not sensationalized as in the already mentioned older film. The remainder of the film is episodic, there being so much to tell of his long tumultuous life. I was not aware of how much his mother Susanna Wesley (June Lockhart) took part in his expanding ministry. (I am aware that Wesley did enter into an unhappy marriage, but this film joins the earlier one in omitting this.) Preaching with a warm enthusiasm that shocked the staid establishment clergy, Wesley soon finds himself shut out of pulpits. Thanks to the counsel of his friend George Whitefield (Paul Miller). Wesley reluctantly decides to follow George's example of preaching in the open air wherever people gather. Before long he is preaching to thousands of people, most of them from the lower dregs of society who had never been inside an Anglican church. Charles is upset at this a first, and a bishop tries to forbid John from preaching with the bounds of his diocese, to which the evangelist gives his famous statement, "The world is my parish." Director John Jackman's low budget shows at times, primarily in the scene in which Wesley is supposedly preaching to thousands of people--you could put most of the actors into a good sized church bus, but this is a minor point. The film is so superior to the older film in so many ways Wesley emerging as a flawed man capable of tremendous growth and adaptability, and supported by some talented men and women devoted to him and to Christ. Except for a few supporting actors, the cast is very good (and what a coup to secure June Lockhart as Wesley's mother!). Although of special interest to Methodists, the film should appeal to all who want (and ought) to know more about one of the most influential men of the 18th century. John Wesley belongs to the whole church, and thanks to this film, more will come to know of him and his great work. Wesley is a powerful flick. Great screenplay. Photography is superb. Acting superior. Awesome sound!! Wesley combines a story that is compelling with a top drawer musical score. All this without compromising historical accuracy. A must see!! I was totally surprised by this docudrama. I laughed, I cried and didn't expect the transformation I went through with his message. This is one of the best religious docudramas I've seen in a long time and recommend it to my friends and family. The acting is so well done and casting so on spot and the script is so amazing as well as the original music and directing I was emotionally moved. Get this movie and send it to all your friends and churches in your community as it reaffirms my love of God. Katherine Godbey - Give this two thumbs up! Having never known anything about the history of the Methodist Church this movie has now sparked my interest to pursue further knowledge. It was a wonderful experience watching this movie and I full heartily recommend this movie to anyone and everyone even if you're not a part of the Methodist Church. Also buy the soundtrack! It is originally composed and fabulous to listen to! 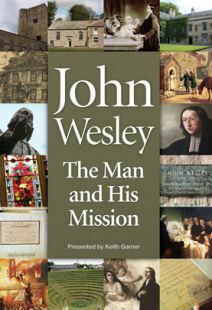 An excellent portrayal of various parts of John Wesleys life and ministry. However it helps to have some prior knowledge about his history to grasp the full effects and fill in some of the blanks of this excellent presentation. I saw Wesley at the 2 pm showing in Dallas TX. The movie spoke to my heart. It simplified The Wesleyan Way of Salvation in ways that nothing else has done for me as a Methodist. I studied in England for a summer and visited many of the places depicted. Great job on bringing the WesleyMethodist Movement to life on the big screen. To God be the Glory for your wonderful work. The movie does a good job of conveying its message of “A heart transformed can change the world.” The first half of the movie focuses a pre-Aldersgate John Wesley who, although talented and dedicated to God, is quite the moralist and who, because of his failure to understand grace, can neither apply that grace to himself or others. The second half of the movie focuses on the transformed John Wesley who is fearless in his mission to reveal the fullness of God’s grace to as many people as he possibly can. The self-doubt and sense of superiority is gone, washed away by the realization that “an assurance was given me that He had taken away my sins, even mine, and saved me from the law of sin and death.” Although the movie was produced at a budget of less than 1 million dollars, I found it to be one of the better Christian films that I have seen. I think that Christians of any tradition will enjoy and appreciate this film, and it is a must see for anyone in the Methodist tradition who wants to know more about the founder of Methodism. The film lacks depth. It shows Wesley as a confused saint. It overlooks the struggle he had in developing his religious focus when he had a flirtatious encounter with Mrs. Hawkins. That was a foreshadowing of his hesitancy for marriage and commitment to a family. This would have broadened his character and shown his vulnerable side. As it is he looks like a cold and withdrawn commitmentphobic and there is no reason given. The plaster saint he is shown as in the film and his incessant horseback riding to spread the word is almost laughable. EDIT. And the ship on the ocean was that lifted from Pirates of the Caribbean? Other than the character development problem for Reverend Wesley the acting was good the costumes were fantastic. The cinematography was excellent. It holds the viewer's attention. I suggest the producer look to the film clips not used and re-edit and shorten the film by about 20 minutes. The audience gets the horseback riding don't beat it to death. Unfortunately this movie did not live up to my expectations. It seems much too Americanized and overdoes the scenes between Wesley and the young lady in the first part of the movie. I can't imagine anyone as proper as Wesley behaving as he is portrayed in the film. There was some kind of relationship as we know but there seem to be a lot of modern behaviors transferred into the 18th century. In addition the accents are much too American. I doubt that the colonists in Georgia would be so American in their speech at that point. The acting was good but I think the 1954 version despite its dated technology and cheesiness is much more satisfying in portraying the ministry of Wesley. This film was excellent. I so enjoyed this and was strengthened in my faith journey. I also love that it was taken from the personal journals of John and Charles. Truly amazing man of God! Anyone living out their faith today will find encouragement. My only complaint is that I did not want this film to end! I would love to see another as a part 2 of Wesley's life. This was a great movie I have been reading about John and Charles Wesley they were workers and so dedicated. It was a wonderful movie and displayed the prejudices that the Anglican church still has! and how some Anglicans to this day will still actually pay to remove and demoralize Christian men, dragging them to trial! Wesley in REAL life was told by the Bishop to NOT marry. The film portrayed Wesley rejecting marriage and the BISHOP telling him it was GOD'S will to marry Sophy. In the film and in real life, Wesley loved her but she married another but they used different names for both people. The film also portrayed that this woman was beaten but we don't know that at all. Yet another political push to portray women as the victim of Christian men when in fact Wesley was not. it was the CHURCH Authorities. But all in all, it was a wonderful inspiring film that leads us to a greater and deeper understanding of the Gospel and the real risks of preaching these men had. Well done. Will they make another portraying the abusive wife he later had who was violent towards Wesley, also betraying his good name for many years ?